smile, wink, nod: mOVie Day! yesterday, i took tommie to see the new chipmunks flick. the movie was cute. upbeat, predictable and fun. although it lacked depth. what was i expecting? afterall, it was the chipmunks! i really wanted to see sherlock holmes. i adore robert downey jr. and could be enteretained by him if he just read the phone book aloud. we were pleasantly surprised to run smack-dab into distant relatives/friends, whom we had not seen for quite some time. i love friends like that... the kind where you just pick up where you left off and are very comfortable with. it was nice to share popcorn, again. 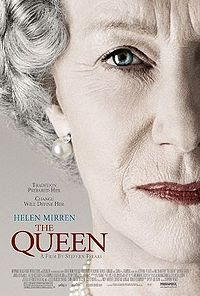 last night, i talked my boys into sharing the t.v., and letting me watch "the queen," with helen mirren. it was a short movie. and, very well done. i especially liked the queen in her humble setting at her english countryside estate. if the historical facts were correct... then, i think the movie should have been called, " tony blair saves the monarchy." i rented it free from the library. Sherlock Holmes is on my TO VIEW list also. I love Robert Downey Jr! I liked The Queen too.